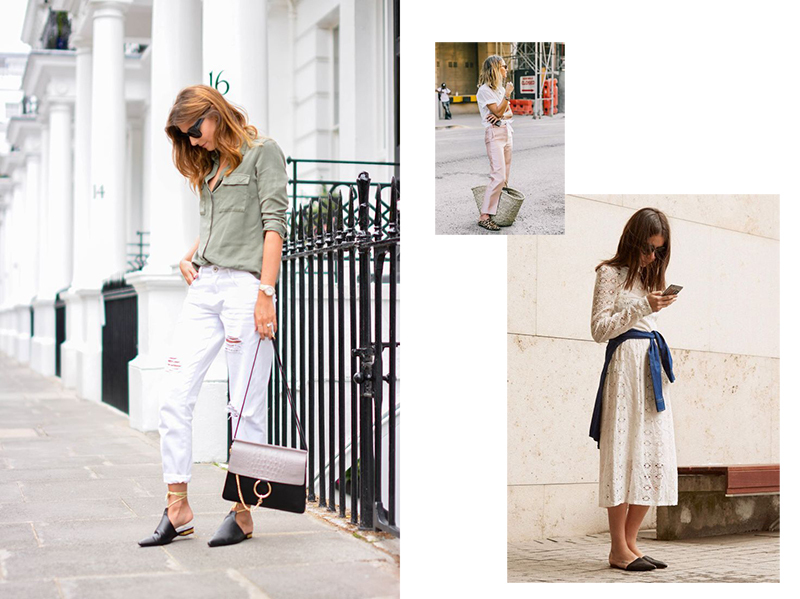 [TREND] How to wear flat mules (aka Sabot) - Once Upon a Time.. 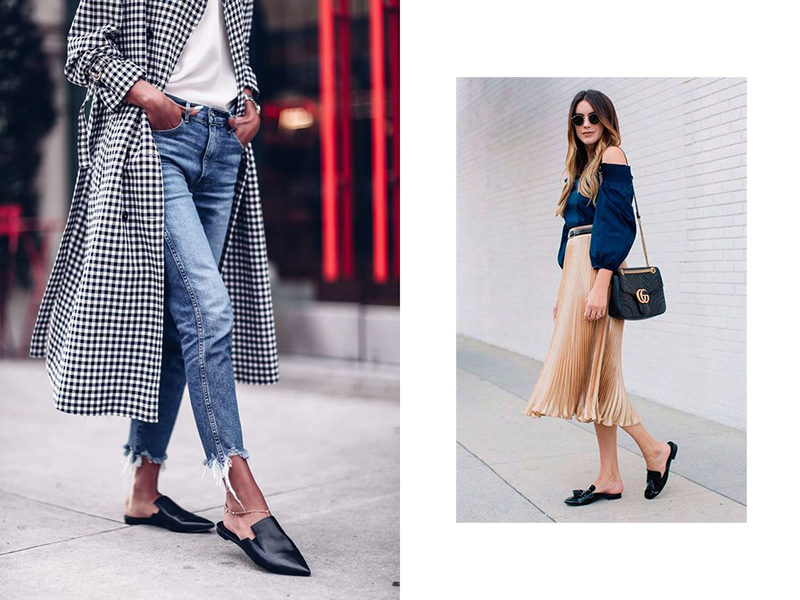 They are the trend of the moment: I’m talking about classics sabot, low-heeled, open behind, a mix between a slipper and a moccasins. Whoever you mean, the pros call them with English name: flat mules. There are all tastes and colors, and they are both in low cost versions – just look at Asos – both in the big brands – Michael Kors, Proenza Shouler, etc – till high fashion. 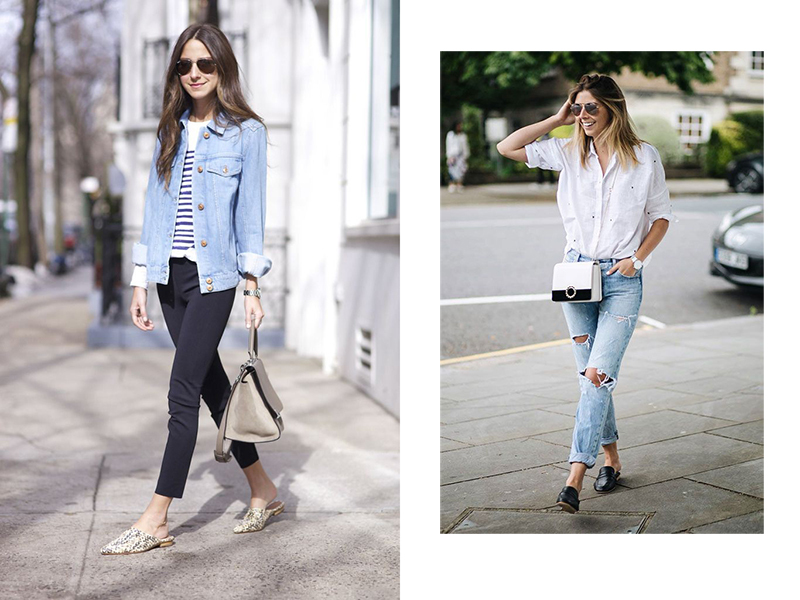 And as every “particular” trend, the same question just raises: how to wear them? Girls, it’s simple. Consider, however, that the final effect will be somewhat the one of ballerinas: they will shorten the figure. The trick? High waist skirts (better flare ones) and trousers that make the ankle lightly visible. 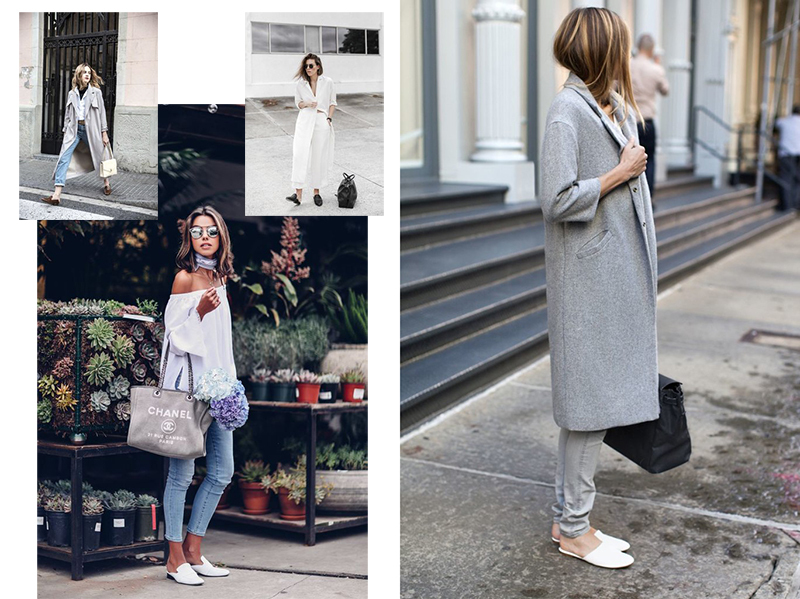 If you can’t still see yourself with them, go for heels: heeled mules are always very trendy! 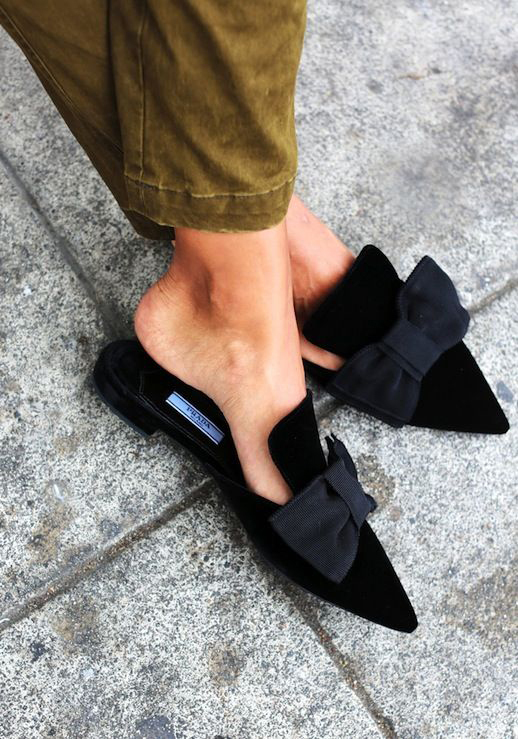 How to wear mules? Ideas for you! 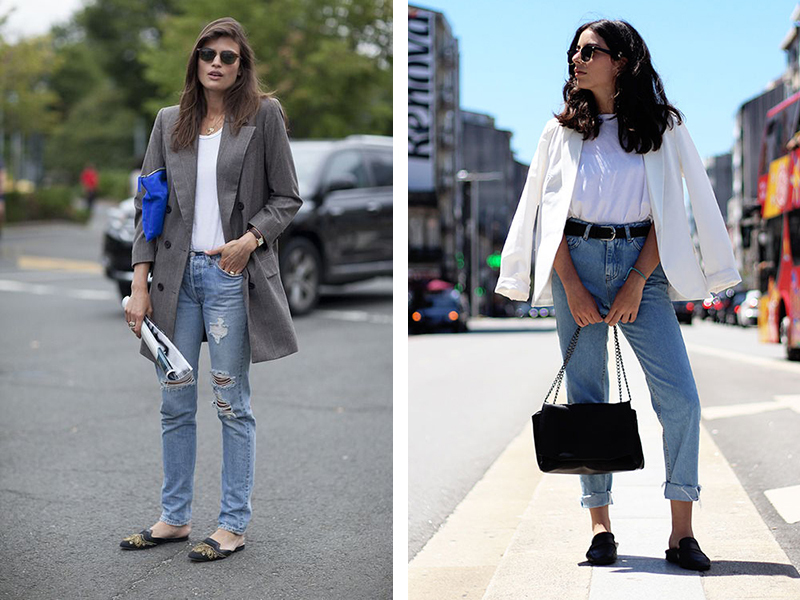 Jeans – with jeans you cannot be wrong: whether the sabots are sleek and masculine or cute and sporty, the jeans are always the winning ones. You can wear them for the aperitif as well as for a city tour – I swear! Plain T-shirt or with a small print, short leather jacket, and who will stop you now? 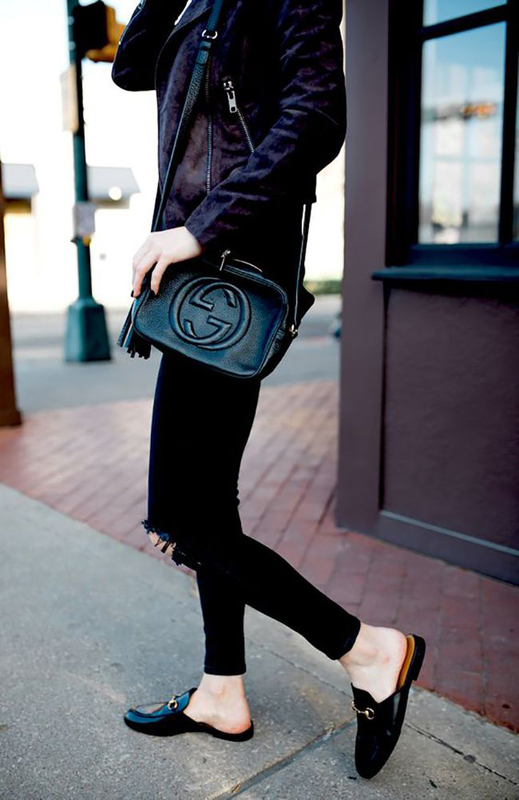 Soft trouser – even better if high waist, a bit wide on the part of the waist that goes skinnier on the ankles. Optical effect guaranteed! 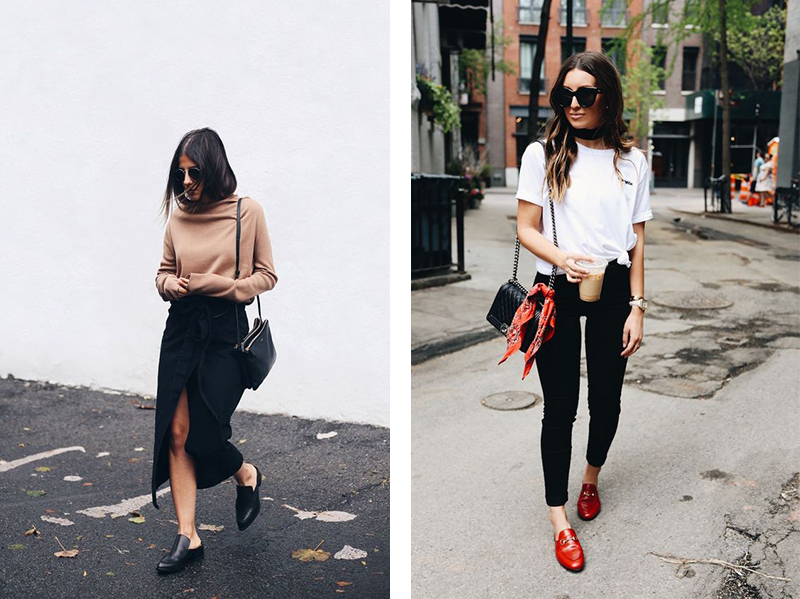 White, black or plain t-shirt, the important thing is to put it in pants with a beautiful waist belt. Skirt/Dress – High-waist only, point on a solid dress with contrasting sabot! Yes to a light jacket/blazer. Palazzo pants – whether they are fluttering and lightweight or jeans and structured, it is fun to play with the symmetries that these pants can create when combined with mules. A not-so-bad narrow wide effect! Here we have the need of a white t-shirt or a nice crop top – if your trousers are not too flashy, opt for off-shoulder tops with some prints! And how do you match mules / sabots? Shop Sweater Cardigans, Present Ideas, Turtlenecks On Sale, Black Blouses and more. Get this widget.